Paul Skilleter Books are proud to be UK distributors for this superbly designed and presented book which tells the story of an astonishing collection of Jaguars. In landscape format and contained in a high-quality slip-case, this book is definitely one for the collector. Christian Jenny is one of the world’s foremost collectors of sporting Jaguars, all of which have been meticulously restored, and all of which he regularly exercises in his home country of Switzerland – and sometimes further afield. 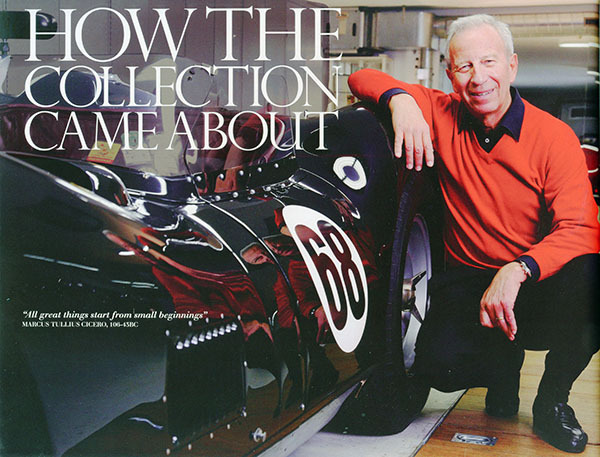 His passion for Jaguar dates back to 1970 when he purchased an early example of the new XJ6, followed by a V12 E-type in 1978. There followed a sometimes planned, sometimes unplanned, series of acquisitions which eventually went on to include some of the most historically important Jaguar sports cars in existence: the original sloping-tail S.S. 90 prototype, a C-type (XKC 023), a Lister-Jaguar ‘knobbly’ (BHL 16), and the Geneva show E-type coupe (885005), the car which was on the Jaguar stand and which was the first E-type the public ever saw. Also in the collection are SS 100, alloy XK 120, XK 140, XK 150 S roadster, 4.2 E-type, and V12 E-type. The individual story of each car is told, and how it was found. 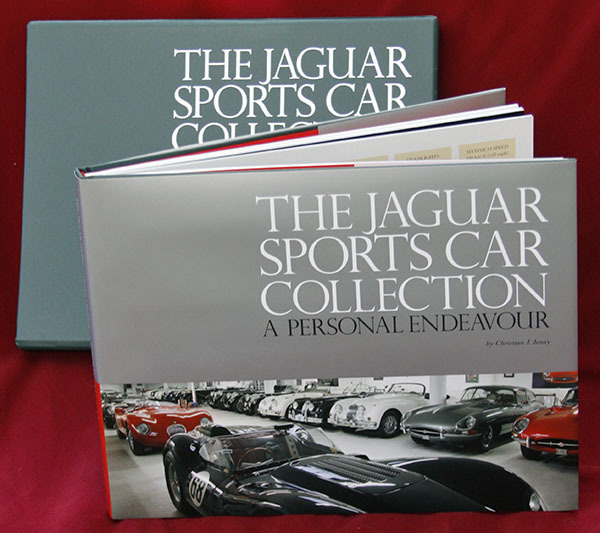 But aside from these more personal aspects, the book includes much information and historical data on Jaguar sports cars, including production figures, specifications and Jaguar milestones. There is a foreword by Norman Dewis, a long-term friend of Christian’s, and an endorsement by Dr Ralph Speth, CEO of JLR and himself a great fan of sporting Jaguars (and of Norman Dewis!). It is edited by James Mitchell and designed by Julian Balme, and is printed and bound in England. The book measures 30cm x 24cm x 2cm, with a total of 176 pages, and is hardbound with a jacket and slip-case. Please visit Paul Skilleter Books for more details and sample pages. The price is GBP84.50 plus GBP6.55 P&P at time of going to press. Please check current pricing before purchasing.